Come join us for our 6th Annual Sweet Dough Pie Festival on Saturday, Oct. 28th, 2017 in Historic Grand Coteau. This event will take place from 9 a.m. to 3 p.m. on the grounds of St. Charles Borromeo Church located at: 174 Church Street, Grand Coteau, LA. The Festival includes food from local restaurants, arts and crafts from over 100 vendors, music, and of course a sweet dough pie contest—the public is the judge! All interested bakers are encouraged to enter. 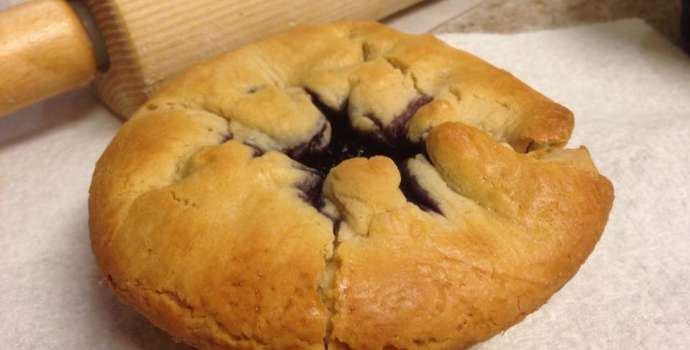 A large variety of sweet dough pies will also be available for purchase including fig, custard, lemon, and blackberry. Covered tables and chairs will be available to relax and enjoy the food and music. Throughout the day, narrated trolley tours will be offered of the town of Grand Coteau including St. Charles Church and the cemetery, St. Ignatius School, the St. Peter Claver complex, and the Schools of the Sacred Heart. Also, this year there will be a special cemetery tour with dramatic portrayals of Grand Coteau characters from the past. Proceeds for this event will go to the Grand Coteau Cultural Foundation, a non-profit organization. Grants are issued through the Foundation to fund a variety of local improvements, and for scholarships. Please, no alcohol or pets. Don’t miss this opportunity to enjoy the unique culture of Grand Coteau. For information on the contest, becoming a vendor, or just attending, please contact Janice Fox at 337-945-4314. Learn more at www.sweetdoughgc.com. This event is supported by the St. Landry Parish Tourist Commission.